This description really tells you the truth of what to expect if you grow these seeds. Although this autoflowering variety is not truly perfect yet, the quality of the final product may hit you by surprise. A quite uniform final heigth of 70 to 90 cm is standard, but factors like the strength of light a plant receives, or growing in small pots can influence the height a lot. We advise to directly start in a big pot and NOT to repot the autoflowering plants several times as you would with regular or feminized seeds. Autoflowering White Russian #1 is not 100% uniform until now. Some plants have an open bud structure and will yield less, but most plants grow nice compact buds and yield 10 to 20 grams or sometimes more. The more light they receive during their life-cycle, the better the endresult will be. All plants will be beautifully covered in a thick layer of trichomes. The majority of the plants will finish between 70-75 days while some may need a little longer, up to 80 days. Grown outdoors in Holland during long lasting periods of bad weather, we saw that the leaves of the plants may show spots of powdery mildew when they are almost finished. This can eventually lead to bud rot, especially if wet conditions maintain. So we advise to check them daily under rainy conditions. If during bad weather harvest time approaches; check for signs of fungus and cut the plants down rather early than late. We hope to improve this variety more over time, but the taste and the potency of Autoflowering White Russian #1 is so satisfactory that we decided to put it on the Serious' menu. We hope that she will in time become another Serious' classic on our menu. Our biggest yielder Chronic was crossed with Remedy, an extremely high CBD strain, in a collaboration with the CBD-Crew. The combination was lab-tested in Spain and ALL 10 samples had a 1:1 ratio of THC:CBD. The average potency was 5,4 % THC : 5,8 % CBD, with the best plant scoring 7,88 % THC and 6,93 % CBD! CBD-Chronic can produce top-yields of 600 g/m2 and is easy to grow and clone. She grows a HUGE top-cola with little side-branching. This first purely medical CBD-strain of Serious Seeds is a milestone, which enables patients/caregivers to produce big amounts of medical cannabis containing high levels of CBD. The production of medical extracts (e.g. Rick Simpson Oil) and lotions, cremes or ointments is made much easier with this strain. CBD-Chronic is a medical strain, which is very well suited to treat the symptoms of e.g. Multiple Sclerosis, Epilepsy, Tourette-syndrome, Glaucoma and Arthritis. One of our most flavourful strains Warlock was crossed with Cannatonic, a strain with a very high CBD-content, in a collaboration with House of the Great Gardener from Canada. The new cross was lab-tested in Canada and 9 of 24 samples had a 2:1 ratio of THC:CBD. The average potency was at appr. 8% THC : 4 % CBD, with the best plants scoring a THC-content of 16,86% and a CBD-content of 15,58%! Since we ONLY will release a variety under our medical line: SERIOUSLY MEDICAL when ALL lab tested samples contain more than 4% CBD, which is true for 15 out of 24 samples here, we have decided to sell this new cross as a limited edition and develope it further. TheWarlock used for this cross is a favourite medicine among the patients of the Vancouver Island Compassion Society (=VICS) and they were asking for a high CBD-version for patients who still want the delicious sweet and fruity aroma of this plant, but a less strong psychoactive effect. The production of VERY flavorful medical extracts (e.g. Rick Simpson Oil) and lotions, cremes or edibles is made much easier with this strain. CBD-enriched Warlock is a medical strain, which we heard from patients is well suited to treat the symptoms of e.g. Chronic Pain, Multiple Sclerosis, Epilepsy, Tourette-syndrome, Glaucoma, Arthritis and many more. House of the Great Gardener won the FIRST award for CBD-enriched Warlock: 3rd place in the category 'Peoples Choice' at the Bio-Cannabis-Cup 2016 on Vancouver-Island, Canada. Legendary for its bubblegum sweet smell and euphoric high. Bubble Gum grows into a medium tall plant, usually not too branchy (sometimes tall) and produces compact, crystal covered buds. Plants grown from seeds are very similar to one another. Originally the Bubblegum strain was developed by growers in Indiana, USA. Later those original genetics came to the Netherlands and were given to two different seed companies. Each created their own ‘original Bubble Gum’ from that genetic material. 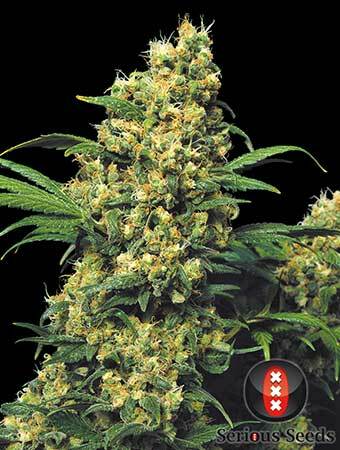 The Serious Seeds Bubble Gum is more sativa like in looks and effect, a sturdy and strong plant, with the characteristic, sweet smell (truly resembling a typical bubble gum taste) and euphoric high; the original trademarks of this famous strain. The only inbred strain (not a F1 hybrid) on the Serious menu. Bubble Gum has won 11 awards in High Times Cannabis Cups and similar festivals. In 2004 and 2005 it won 5 local and national Cups in Spain alone! In 2006 the Bubble Gum received its best award; it was named ‘Plant of the year’ by magazine ‘Soft Secrets’, because many Spanish growers won in local competitions in that year with the same plant: Bubble Gum. In September 2016 the feminized seeds of Bubble Gum have won the third place in the category Sativa at the Expogrow-Cup 2016 in Irun, Spain. The legendary sweet strawberry flavor of this variety is well pronounced in plants grown from feminized seeds! The Bubble Gumis the motherplant of the legendary Strawberry-Banana produced by Crockett Family Farms. Chronic is our most commercial variety, this medium height, not too dense plant is the perfect combination of very good yield and excellent quality. Smokers who appreciate high-quality and grow for themselves choose this plant for its combination of appearance and sweet smell. With its Indica genetic background Chronic strain can produce up to 600 g/m2 without losing that special connoisseur feeling. 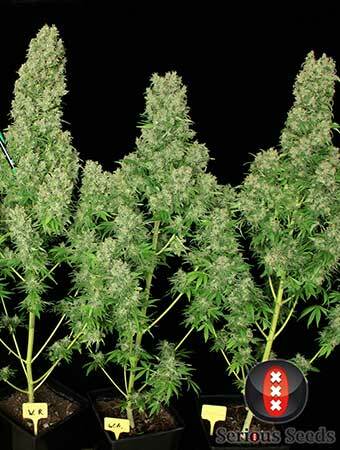 Grows a single huge central bud with few side branches. Topping of the plants to encourage the devlopment of multiple big side buds is possible, but the total yield can be a little less this way. A sweet smell develops while flowering and this aroma will be maintained in the finished weed, if it is dried and cured well before packaging. Putting the Chronic in plastic bags before it is thoroughly dry will destroy the subtle fragrance forever, making it mediocre weed. Out of all our strains, this is the best choice for growers who are tired of losing quality while increasing yield. Already a winner of the 3rd prize at the High Times Cannabis Cup in 1994, this variety was improved in 2000. 1st prize at La Bella Flor Cup Spain 2003 (by Ezequiel) and 1st prize at Highlife Cup Spain 2004 (by Mundo Ganja, Alicante). 2nd prize Highlife Cup Spain 2004, category: Hydroponic (by Perenne Grow, Barcelona). Last awards won by Chronic: 3rd prize Copa Green Skull 2016, category: Solventless Extracts, Cabezon de la Sal, Spain and 3rd prize Cata Invernal 2016, category: Drysief, Spain. 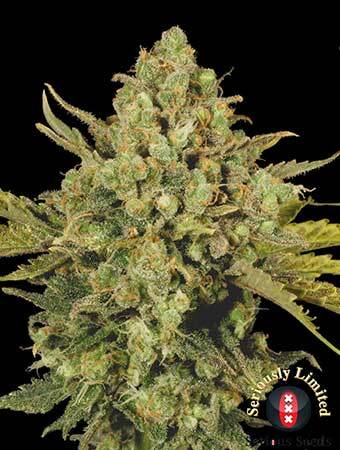 Kali Mist is arguably the top Sativa strain available on the market today, she is often called the Queen of Sativas. She grows into classical Sativa plants with very few leaves, producing much higher yields than you would expect. This strain produces dense clusters of full spirally buds, with a very high resin content and a delightfully spicy scent. The open plant structure with few leaves allows light to pass all the way to lower branches, allowing the bottom buds to develop fully. Kali Mist is used as medicine against chronic pains like back aches and as a mood enhancer. Women all around the world particularly like this plant as a relief against monthly cramps. Kali Mist has been improved twice since its first release; in 1998 and in 2000. The most recent and also best version won 8 of the 10 cups behind the name 'Kali Mist’. When she is planted outside early in the year this plant can grow very tall. Grown outdoors in Spain and Italy she proved to be very mold resistent, even during rains. Kali Mist won a 1st prize Cannabis Cup 1995, 1st prize Cannabis Cup 2000, 3rd prize High Life Spain 2004, 1st prize Seedcup 2008 in Bologna, Italy, and in 2009 the third prize at the Kent Guerilla Cannabis Cup in England. Last awards won by Kali Mist: 1st prize in the category: 'Best Hash' at the Cannabis Champions Cup 2012 in Barcelona, Spain and 3rd prize in the category: 'Sativa' at the Growbarato Cup 2018 in Barcelona, Spain. This variety gives a very strong, clear, energizing and uplifting High. This short/squad-growing Indica plant is the final creation of a long process of development by Magus Genetics. The project combined Sensi Star and Warlock into the ideal indoor plant; during development the genetic lines had names like Starwarz, Medizin Power and London Memories. A very thick layer of resin glands on the flowers and sugar leaves, makes manucuring less necessary, and gives her a popular presence in every growroom. Excellent variety for indoor and closet rooms with limited height. A powerful aroma, sweet with undertones reminding of fresh paint, developes during the flowering period. The effect after smoking Motavation is an overwhelming body stonedness, nailing you to the couch while your mind is fueled with a lot of creative ideas. Executing those ideas however will have to wait until the effects wear off. Any 'boring' or 'depressed' feelings will fall away after a hit of Motavation! This plant has strong medicinal properties for pain-relief and relaxation. Motavation has won its most recent award in September 2013 at the Expogrow-Cup in Irun, Spain. It won FIRST PLACE in the category Indica! Two legends were crossed to produce this strain. We combined our famous Warlock-father with our legendary AK-47-mother and the result gave us pure happiness! In fact this hybrid brings happiness TWICE. First you will be happy about how easy to grow she is. Serious Happiness has the perfect hybrid-structure for indoor growing with several side branches not too close together. In flowering each branch grows a very big and dense bud with few leaves, she is easy to manicure! Her aroma and taste are sweet and fruity, sometimes a bit spicy, with a sugary aftertaste when smoked. That is the moment when she gives pure happiness for the second time. Her effect is a longlasting buzz that combines a nice body-stoned with an incredible head-high, we felt this as pure bliss. The name Serious Happiness came up after smoking this fantastic strain, because thats exactly how the grower feels, happy while she grows and seriously happy when she is finished. FIRST award won by Serious Happiness: 3rd prize in the category: 'Sativa / Grower' at the IC-420 Cup 2015 in Amsterdam, entered by CLOUDZ. The yield of this variety is AMAZING! She received the SPECIAL AWARD for the MOST PRODUCTIVE variety at the Master Seedscup 2016 (edition: Outdoor Spain) from YERBA-Magazine. White Russian strain produce strong, healthy, fast-growing plants that are fantastic in appearance and effect. Very popular also for outdoor growing in Spain, France, Italy and California. This variety is our most typically Indica strain. White Russian is a stable cross of our original AK-47 and the famous award-winning clone of White Widow from the 90s. She is of medium height, developes into consistent ‘not too leafy’ plants and produces dense, very resinous flower tops (crystals start to appear after about 5 weeks of flowering). The plants smell quite strong during the growth and flowering period. 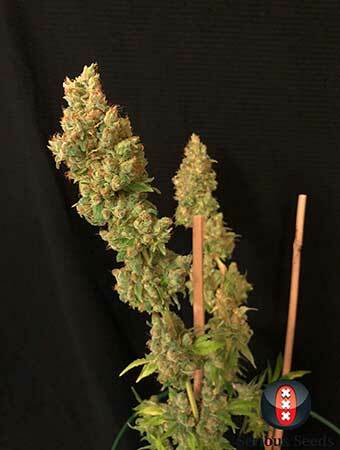 In an independent seed comparison in the UK in which over 150 different seed strains were grown, the White Russian seeds came out as the strongest plant. Winner of the overall High Times Cannabis Cup in 1996 and of the Cup for Best Bio Grass in 1997. The plants yield very powerful buds, coated with an abundance of resin. The effect is a very strong, long lasting High, which is more cerebral (=head-high) than it is a knockout (=body-stoned). Excellent medicinal plant for pain-relief. Last awards won by White Russian: 1st prize Indoor, El Punto Cup 2005, Málaga in Spain and 2nd prize Extracts, Highlife Cup 2013, Amsterdam. Its finally here: the serious version of the legendary OG Kush! We have taken our world famous White Russian and crossed it with an original clone of OG Kush originating from the US. The new cross has the supreme dankness of the OG Kush with the extreme amount of crystals of the White Russian. We managed to increase the yield of the OG Kush substantially, the Serious Kush grows big dense buds covered in trichomes and fills up totally along the branches that receive enough light. The aroma is very strong and typically 'kushy'. This variety has that unique kush-flavor, which is so delicious that it lets you crave for more even when you just had a hit. The potency of Serious Kush weed is very strong and she has a strong sedating effect (=couchlock effect), which is ideal for chronic pain patients and patients with problems falling asleep. She is also ideal for relaxing and playing video-games. 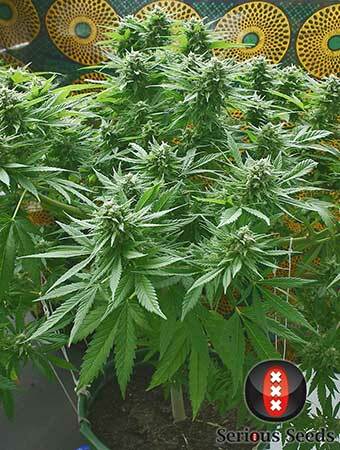 A customer who has grown this strain from our retail seeds won the FIRST award for Serious Kush: 3rd place in the category Indica/Grower at the IC420 Cup 2016 in Amsterdam. In June 2018 she was voted EUROPEAN PLANT OF THE YEAR in the category Indica by the readers of Soft Secrets Magazine. Frosty, trichome covered buds with an intense strawberry aroma and a strong effect was our breeding goal for this unique variety. We teamed up with King Keil (pron. : King Kyle), a german hip-hop artist and cannabis connoisseur, who was looking for a special variety, worthy of lending his name to. He tasted several pheno-types during the development of the strain and was immediately convinced that this new cross will be a SMASH-HIT. He was so inspired from tasting, he wrote a song dedicated to it, which is on his Album 'Weedman Returns'! We fine-tuned the mother- (=AK-47) and fatherplant (=Bubble Gum) combination until we were satisfied and now she is ready for her first release as limited edition: Strawberry-AKeil (pron. : Strawberry-AKyle) This sativa dominant cross combines the frostiness and effect of the AK-47 with the delicious strawberry aroma and taste of the Bubble Gum. Growing medium tall with an abundance of buds and an insane amount of trichomes, she reeks of fresh strawberries during flowering. Her fruity terps dominate any growroom they are in and will fill it with an overwhelmingly strong fruity aroma. The effect of Strawberry-AKeil is strong, it starts with a creative uplifting high and then turns into a relaxing stoned. She is well suited for chronic pain patients, but also for patients with anxiety and/or problems falling asleep.